The new month comes with new hopes and new desires. Though it's me who is not able to make up to the things, but a new one makes me enthralled, all energized, make me do things again. I have a bad habit of giving up things in very last moment, it's like my bike's fuel all burn out when it comes to the last lap, and I can't complete that race. Leave that thing. I am working on it. But here, it's November. So Happy November. And Happy Novembering. In old English, they used to call November, Windmonath (month of wind) or Bloodmonath (month of blood or sacrifice). In Dutch, they used to called it, slatchmaand (slaughter month). It is called November, because it was the ninth month of Roman calendar, as the Nov means Nine. But after Julian Calendar Reform, it became the 11th month of the calendar. There is another unusual fact about November, that November starts on the same day of the week, as February ( and March in leap years) i.e. If 1st of February is Monday then, it will be Monday on the 1st of November. On November 5, each year, British and Kiwis celebrates Guy Fawkes Night, the anniversary of failed Gunpowder plot. The day is also known as Bonfire Night or Firework Night. On 11th of November, Commonwealth Nations, and various European countries, celebrates Remembrance Day in memory of members of armed forces who died in the line of duty in World War I. Remembrance Day is also known as Poppy Day or Armistice Day. On 14th November, India celebrates Children's Day in memory of Chacha Nehru, the first Prime Minister of Free India. Along with Chacha Nehru Birthday, India will be celebrating World Diabetes Day along with the whole globe, to spread awareness on Diabetes. And on the fourth Thursday of the month, the America will be celebrating the Thanksgiving day. So many things are being celebrated on November. 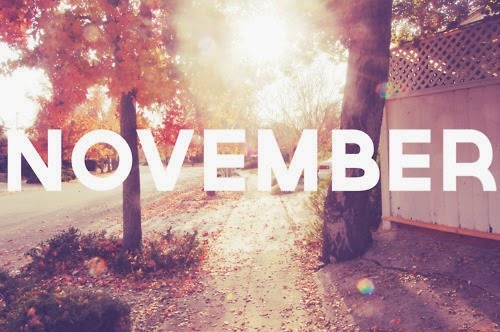 Its amazing.Many new things got to know about the month November.